One of the faults I have as far as fooding goes, is that I get in ruts with the items I order or eat. Once I find something that I love at a restaurant, I normally stick to only that. Now, I will say that I have gotten much better with expanding and trying more things at restaurants – purely so I can review additional items for Grandma’s Backyard. I can say I took another Change from the Norm last Friday. 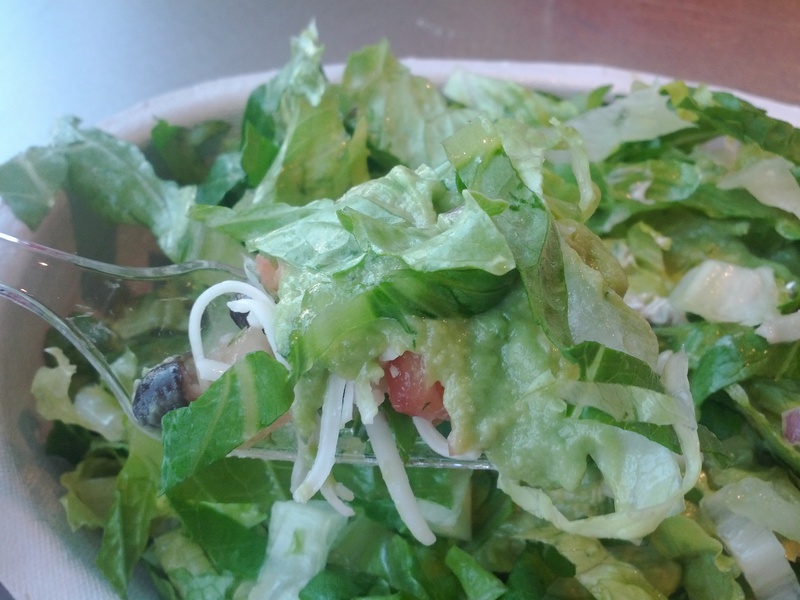 And, at none other, than one of my favorite places – Chipotle. Last Friday, my team at work decided to all have lunch together. We planned a visit to Chipotle. 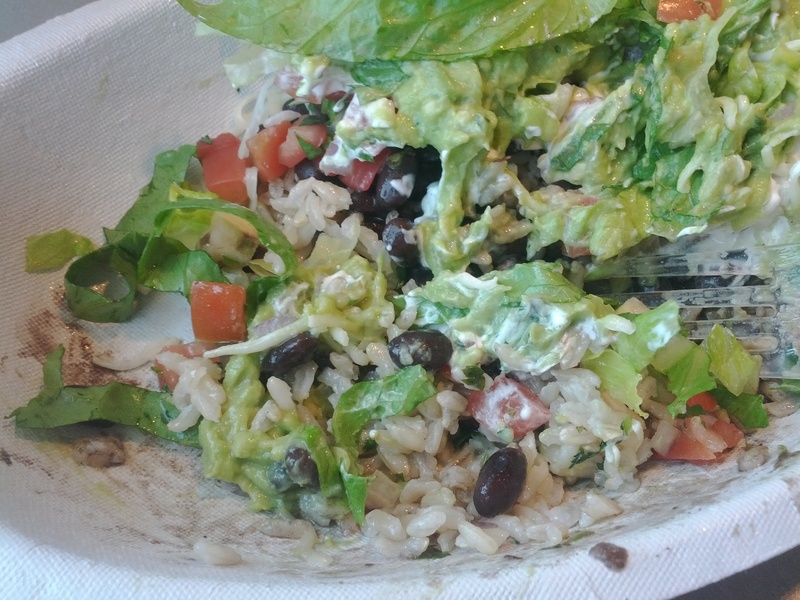 Since we were only eating lunch, and I didn’t want my usual ginormus burrito, I opted to go with the burrito bowl. I figured it would be exactly the same minus the burrito shell of course. Yes, the ingredients were the same but, it was just not the same. Maybe it was just a case of mind over matter but, I did not feel the same joy & satisfaction out of the bowl as I do from the burrito. Now, please don’t take that the wrong way. The bowl was absolutely delicious. It just was no burrito. 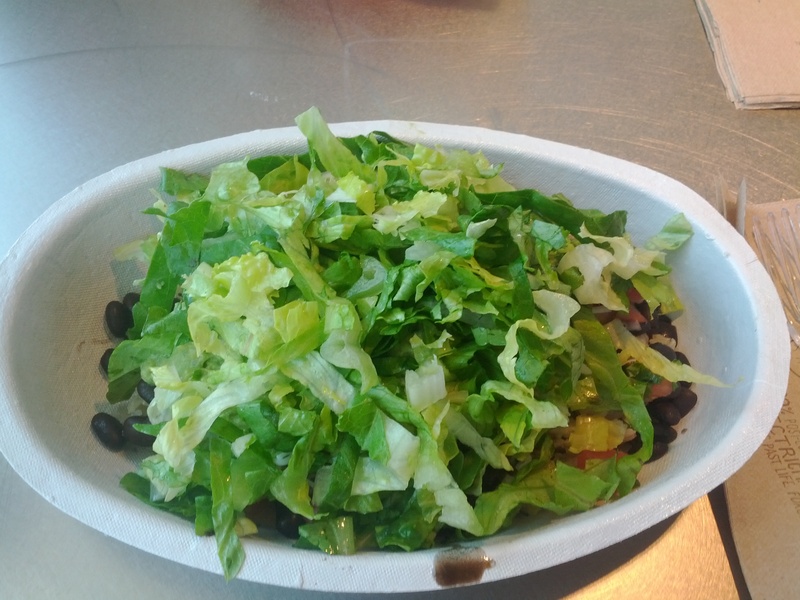 As I made my way down the creation line at Chipotle, I requested my bowl with my usual ingredients. Starting with a layer of brown rice and black beans, I also requested pico de gallo, a touch of sour cream, shredded cheese, guacamole and extra lettuce. Once I arrived at our table, I mixed all of the bowl ingredients together a few times and dug right in. I think the mixing of the ingredients is a big factor that separated the bowl from the burrito. While I am eating a burrito, I have the bites that include the rice & beans and then the bites that include the ‘wet/cold’ ingredients. It’s the separation of the two, with the combining time being within my mouth, that really does something special to me. Jeez….do I have food issues or what? I found the brown rice to be less ‘tasty’ and cilantro-lime-esq than the white rice is. While this lost some flavor in the rice, the fact that the rice was brown rice, picked this up. Plus, this rice was so soft & gentle. A bowl of this rice on its own, would be a meal in itself. Then, throw in those tasty black beans – oh my. The black beans have the perfect soft consistency where they are soft but not to the point of being mushy. This is really key – it is far too easy to cross this line. On this occasion, both the pico de gallo and the guacamole, were made exceptionally. The pico had the perfect portions of tomatoes, onions, cilantro and yum. It is so fresh and while it is not spicy, it packs the flavors of freshness. This is so much better than spicy to me. Also, the guacamole was smashed up to the place of chunky-smooth. I beyond love the guacamole at Chipotle and this was some of the best I have ever had. Flavors of fresh avocado, tomatoes, onions, cilantro – all working in perfect harmony with each other. Every single bite of the bowl contained all elements. As I mentioned, this was different then the norm for me since I usually have bites of some but not everything with the burrito itself. While I did indeed enjoy this cohesion of ingredients, and it did provide spectacular flavors, I really just missed the burrito shell. Thinking about it after the fact, I realize this is a lot of mind over matter. Chipotle is delicious – a burrito shell does not make or break it. I finished off my entire bowl without a problem and felt full but not to the point of being stuffed. This was exactly the point of getting the bowl, so I was quite content. All of the ingredients offered by Chipotle scream fresh and this visit was no different. These fresh ingredients mix together, work together and achieve together. 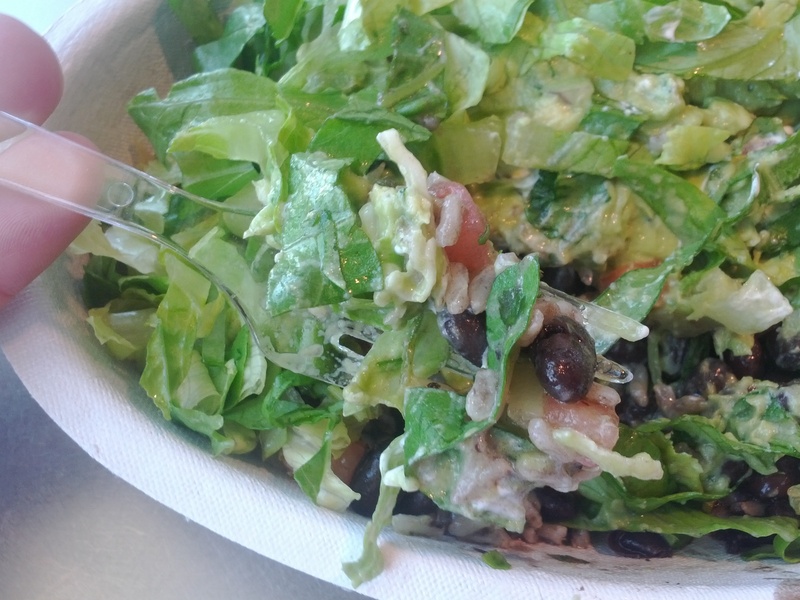 While I will probably stick with my burrito in the future, I am really glad I tried this bowl. If I go to Chipotle looking for something light, the bowl it will be. I may be a creature of habit (most call it OCD) but, I am glad I made this Change from the Norm on this visit to Chipotle.